Whole Foods: Ramadan Promotion Has Not Been Canceled : The Two-Way A blogger had written that because of pressure from critics, the grocery chain would stop advertising that it has halal products that Muslims would enjoy during their holy month. But Whole Foods says it is "extremely excited" about the campaign. 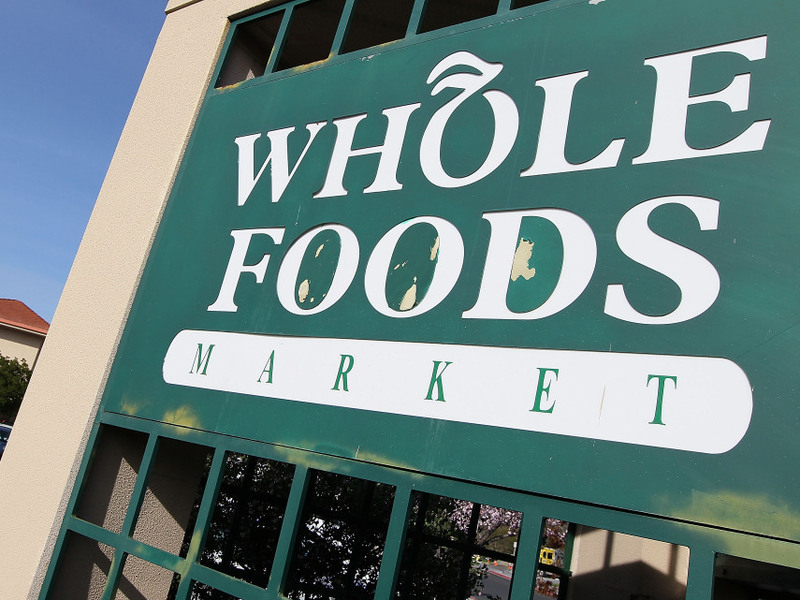 Looking to set the record straight, the Whole Foods grocery chain says it is "still carrying and promoting halal products for those that are celebrating Ramadan this month." The company's statement follows a Houston Press blog post earlier this week that said pressure from "right-wing bloggers who blindly associate Ramadan and Muslims with terrorism and burqas," had led Whole Foods to send an email "to its stores across the United States in which it specifically tells stores not to promote Ramadan this year." -- "We never sent a communication from our headquarters requesting stores take down signs or remove parts from this promotion." -- "We have 12 different operating regions and unfortunately, one region reacted by sending out directions to promote halal and ..."
-- "... not #Ramadan specifically after some negative online comments." -- "We're extremely excited about offering halal products for our shoppers and we stand behind them AND our promotion of them." Update at 8:35 a.m. ET: The Atlantic's Wire blog has more background.